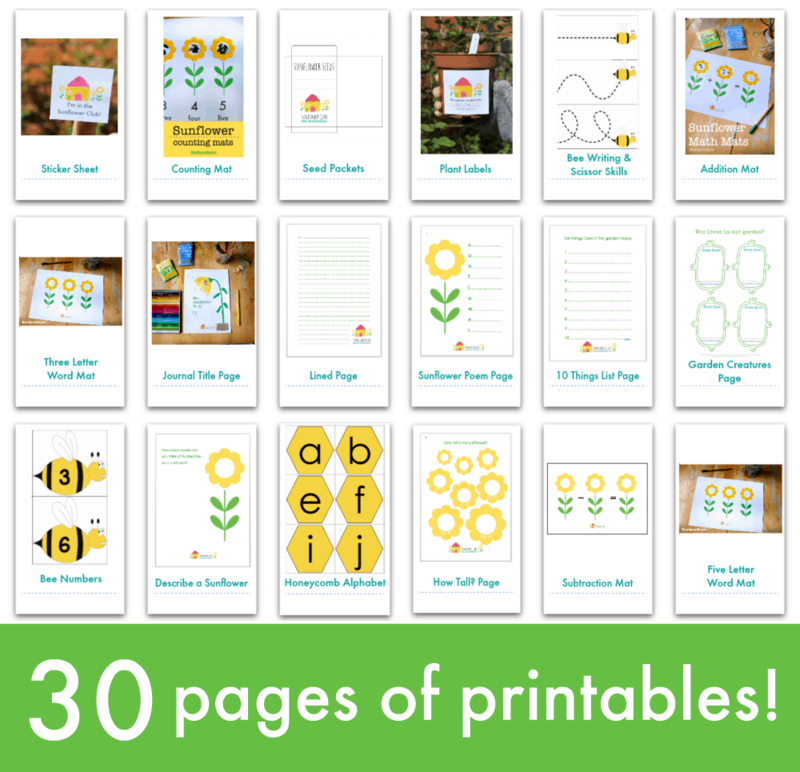 This sunflower height chart is a great accompaniment to our seed growing experiment, as it lets you track, record and compare heights. Start by drawing leaves on a piece of card – one leaf for each person in your family / class / group. 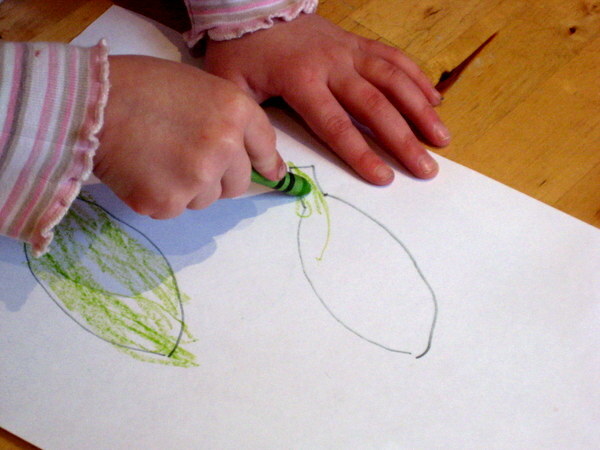 Colour the leaves in green and write the name of each person on a leaf. Draw a tall stem up your roll of paper. 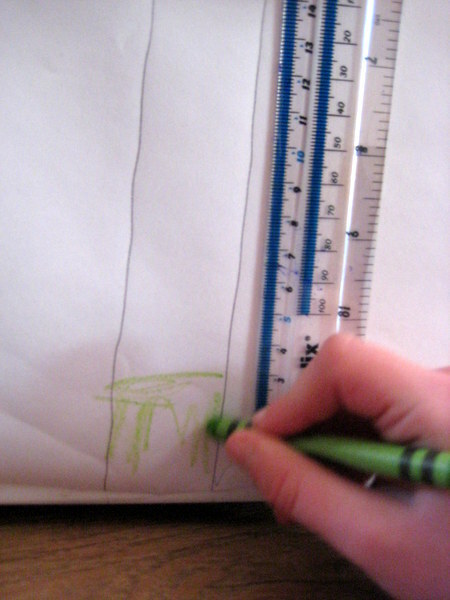 Measure everyone, or have them stand next to the paper, and mark off how tall they are on the drawing of the sunflower stem. 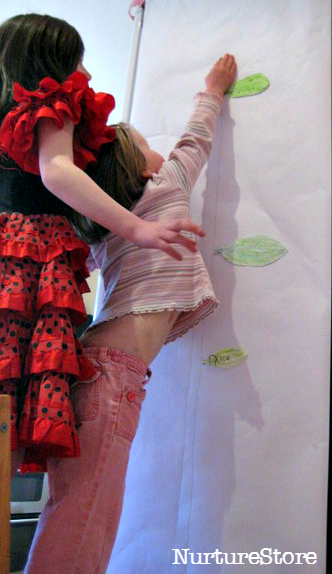 Place each person’s leaf at the correct height along your sunflower height chart, to mark how tall they are. What is the average height of your group? 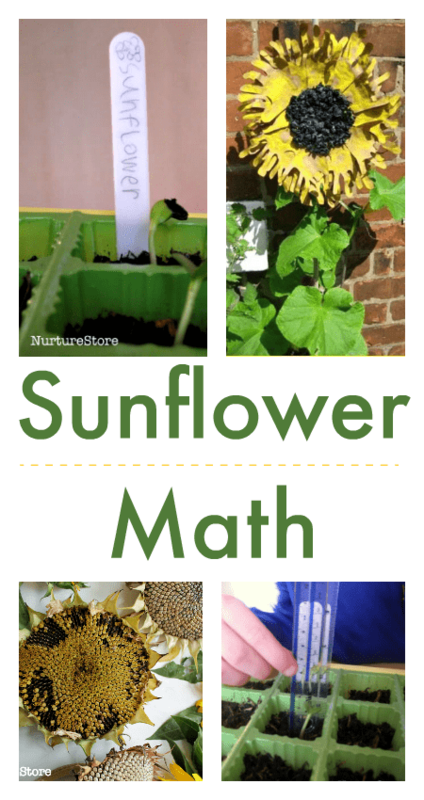 How tall do you estimate your sunflower will grow? 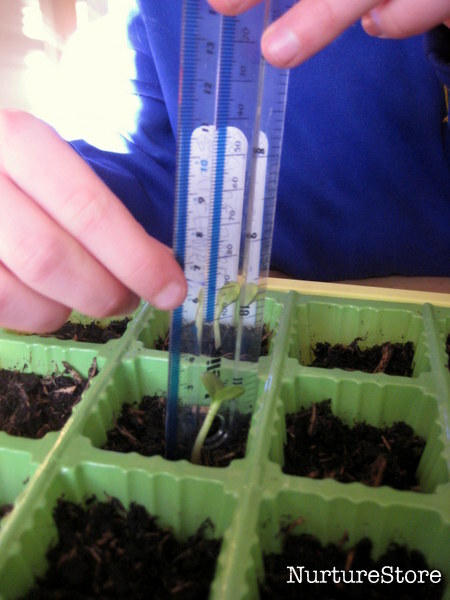 Then measure your sunflower as it grows. You can collect your data in your Sunflower Journal (get your free copy here). As your sunflower grows, mark how tall it is by colouring up the stem on your height chart. You can include the dates of your measurements alongside the stem. Keep colouring up, and up, and up, as your sunflower grows. How many days does it take until the sunflower is taller than you? Will it grow higher than the tallest person in your group? 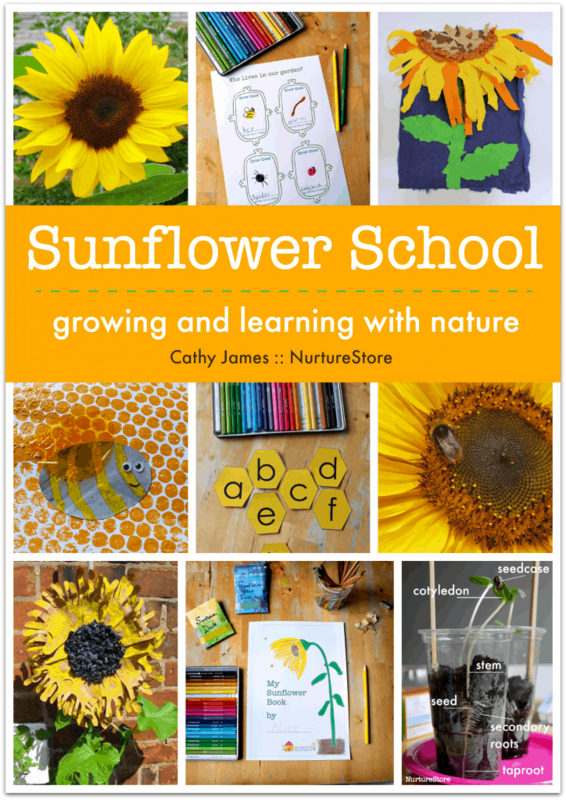 Make a beautiful handprint sunflower to go on the top of your height chart as it’s crowning glory when your flower appears. What a fab idea, I’m off to get some seeds! That is so cute. We just planted sunflower seeds last week. My son is so excited to see them already sprouting. Hurrah piccies of some of our seedlings on my blog too 🙂 they seem to be very fast growers, i think mine will be be ready to plant out in another week or so! I love this, can you believe that we only planted on Friday and we have lift off this morning! Wow! Mini and Maxi must have very green fingers! Wow! When seedlings pop their heads out it’s always so exciting. We haven’t yet manage to plant our sunflowers, but our beans, peas, sweetpeas, leeks and tomatoes are all loving this warm wet weather! I love this time of year Zoe – all the growing just seems so positive.